On 16 september,In Samegrelo - Zemo Svaneti region within the framework of regional coordinator of Greens Movement / Friends of the Earth Georgia with support of local municipalities organized a large-scale clean-up actions in Zugdidi, Tsalenjikha, Mestia, Chkhorotsku municipalities. 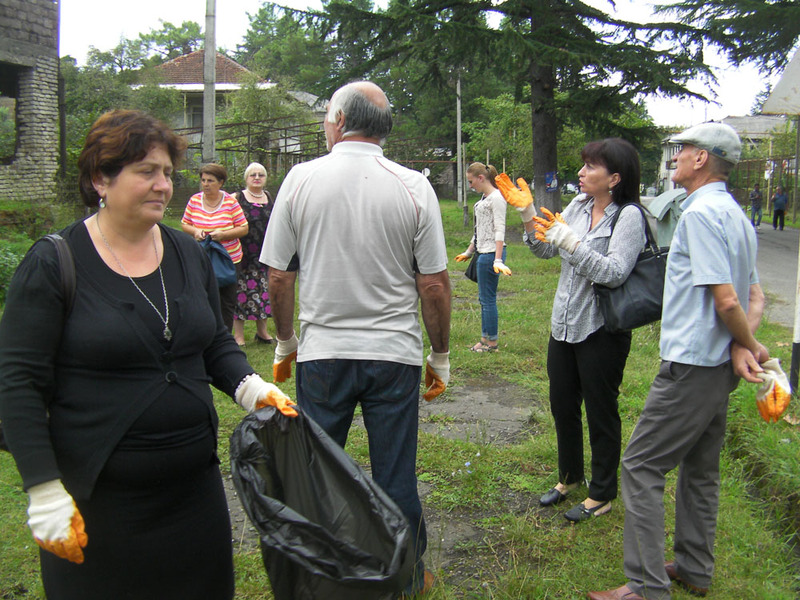 On 19 september, Within the framework of “Clean Up Georgia ” campaign a clean-up action was held in Khelvachauri Municipality. The event has been organized by regional coordinator of Greens Movement of Georgia/ Friends of the Earth Georgia in Adjara., with participation of Municipality officials, Public School students and local community representatives. During the campaign were cleaned up village centers and public school surrounding areas. Totally,250 volunteers participated in this event, around 18 ha area has been cleaned up and about 25 m3 of waste were collected. Today, on the third day of the "Clean Up Georgia" campaign the Greens Movement of Georgia/ Friends of the Earth Georgia with teachers and pupils of Mukhiani public school "Prometheus" cleaned up once more the neighborhood area of Jvari Monastery in Mtskheta. During the event 1 ha area has been cleaned up by volunteers and about 8 m3 of waste were collected, that has been taken to the landfill. Around 40 volunteers participated in the action. The participants of the action have expressed their desire to see areas cleaned up by them maintained until the next "Clean Up the World" campaign and clean environment preserved. 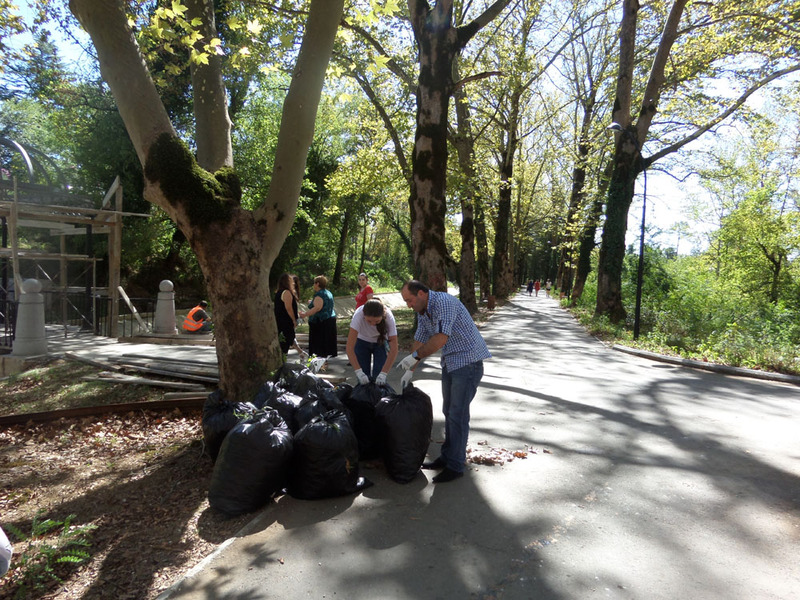 On 16 september, Within the framework of “Clean Up Georgia” campaign a large-scale clean up action has been conducted in Tskaltubo municipality. The event has been organized by local coordinator of Greens Movement of Georgia/ Friends of the Earth Georgia with participation and support of Chairman of TskaltuboCouncil, Head (Gamgebeli)of Tskaltubo municipality and Head of Education Resource Center. 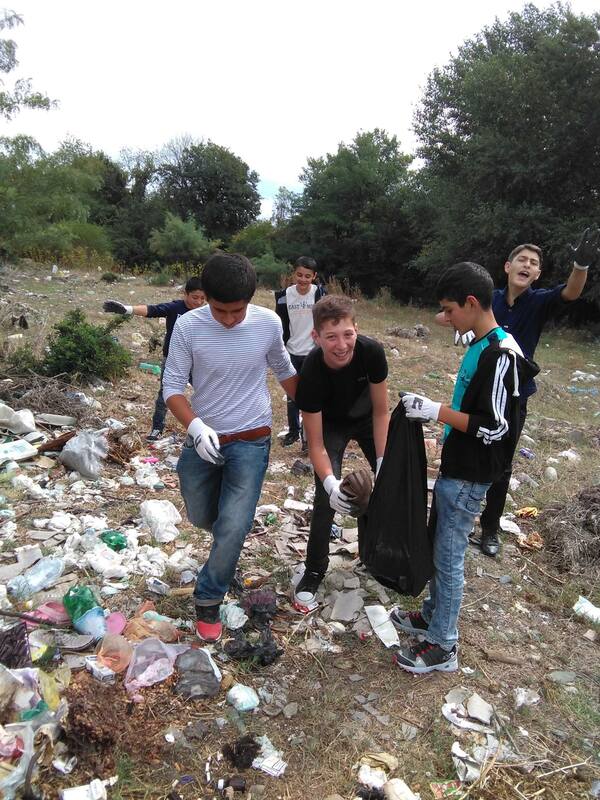 On 16 september, Within the framework of “Clean Up Georgia” campaign a clean up action has been conducted in Khashuri municipality. 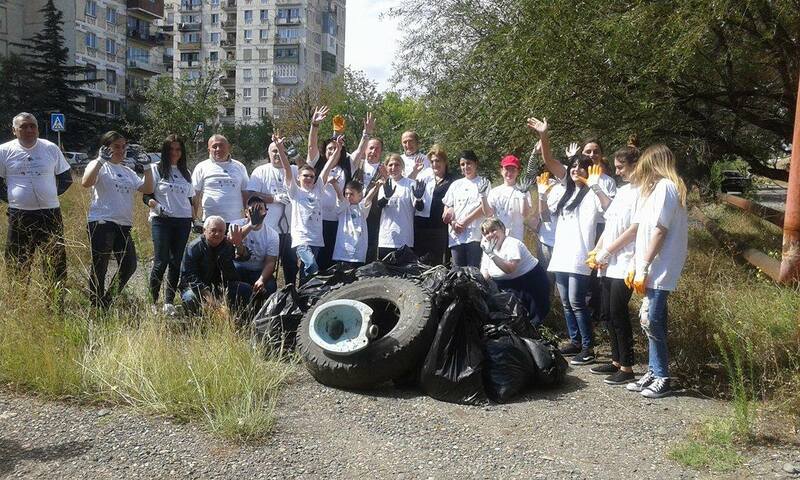 During the event village Osiauri area and Batoni park surrounding area has been cleaned up. Around 35 people took part in the action, 3 ha area has been cleaned up and 1.5 m3 of waste was collected and taken to the landfill. The event has been organized by local coordinator of Greens Movement of Georgia/ Friends of the Earth Georgia. 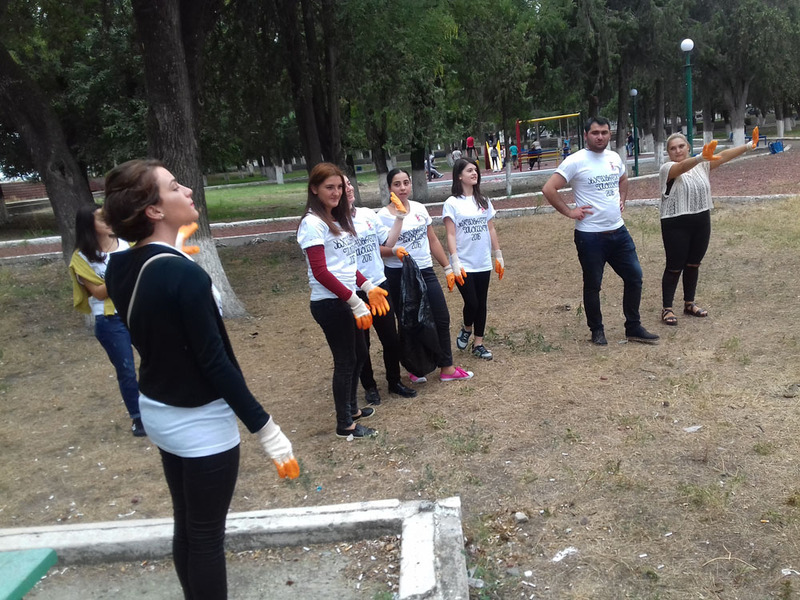 On 16 september, Within the framework of “Clean Up Georgia ” campaign a large-scale clean-up action was held in Bolnisi Municipality, organized by the regional coordinator of Greens Movement of Georgia/ Friends of the Earth Georgia and in cooperation with local administration bodies. . In Borough Tamarisi were cleaned up residential buildings surrounding areas, village Ratevani public school students and teachers cleaned up the RitualHouse surrounding area, Bolnisi stadium vicinity area were cleaned up by N1 public school teachers and pupils, volunteers cleaned up the market area. On 16 september, Within the framework of “Clean Up Georgia ” campaign a large-scale clean-up action was held in Kvareli Municipality, organized by the regional coordinator of Greens Movement of Georgia/ Friends of the Earth Georgia and with support of local authorities. 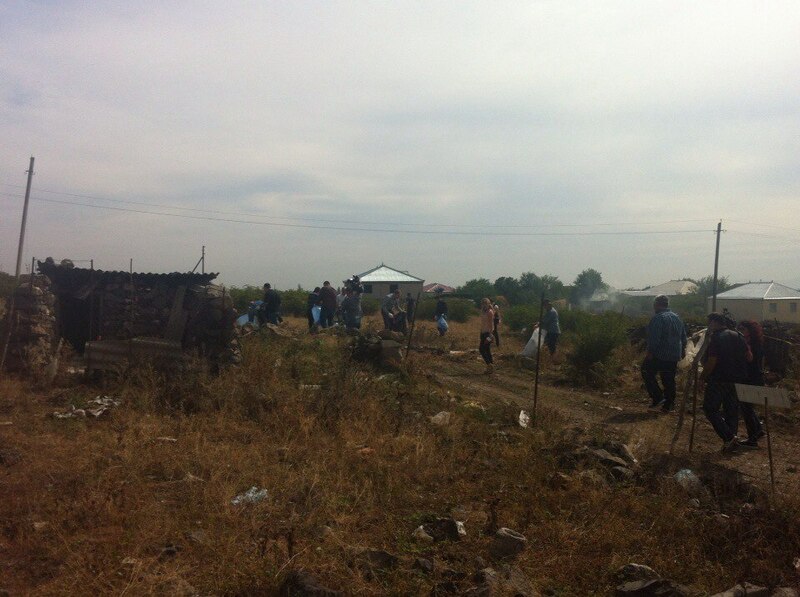 During the event Archangel Church andNekresi Church neighborhood areas t were cleaned up by local residents. The event was joined by the representatives of local administration and various organizations. 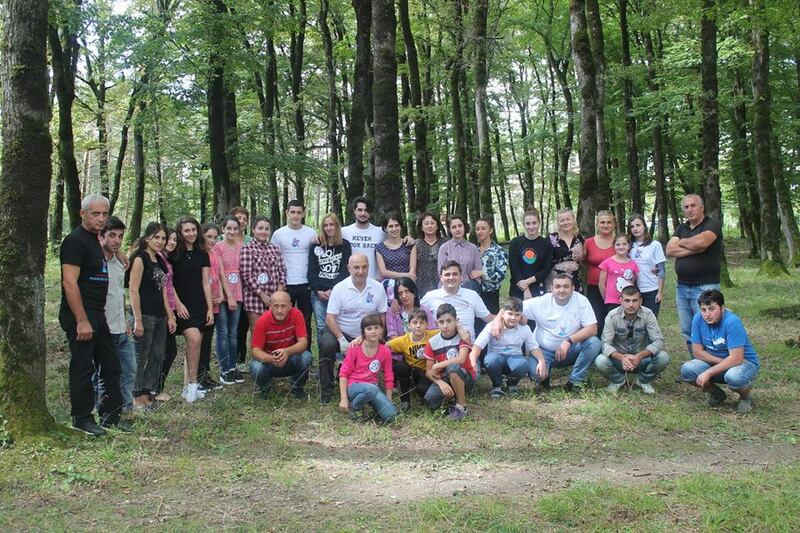 On 16-17 September, Within the framework of “Clean Up Georgia” campaign , which takes place in parallel to “Clean Up the World” campaign, Tetritskaro municipality has been actively involved.The event has been organized by local coordinator of Greens Movement of Georgia/ Friends of the Earth Georgia. During the event in so called “Bear Forest:”, that represents recreational area for local population two day clean up action took place. On 17 september, "Clean-up Georgia" campaign, which takes place in Georgia in parallel with “World Clean Up” campaign includes nearly all self-governing cities and municipalities of the country. On the first day of the campaign was held a large-scale clean-up action along the shoreline of river Mtkvari in Kvemo Ponichala. The second day of the campaign was marked by cleaning up of the proximity of Demetre Tavdadebuli street in Didi Digomi. Along with organizers and volunteers the Head of Environmental Protection Committee of Tbilisi Council took part in the action as well. During the action around 0.5 ha area has been cleaned up and about 0.5 m3 of waste were collected which has been taken to the landfill by respective service of the municipality. About 30 people attended the event. 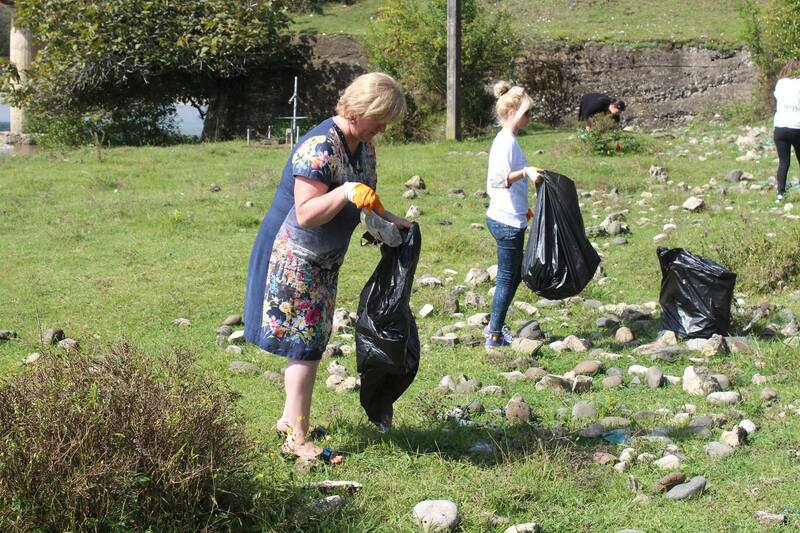 On 16 september, Within the framework of “Clean Up Georgia” campaign a large-scale clean up action has been organized in Lanchkhuti municipality. The event has been organized by local coordinator of Greens Movement of Georgia/ Friends of the Earth Georgia with participation of local administration and council representatives, volunteers..
.During the action has been cleaned up central districts and squares of the municipality. Totally, 540 people participated in this event, around 28 ha area has been cleaned up and about 24 m3 of waste was collected. On 16 septembers,Within the framework of “Clean Up Georgia” campaign the regional coordinator of Greens Movement of Georgia/ Friends of the Earth Georgia has organized the clean up action together with Youth Group of Gardabani Council. In total, 20people attended the event. Around 0,3 ha area has been cleaned up and about 1 m3 of waste was collected. 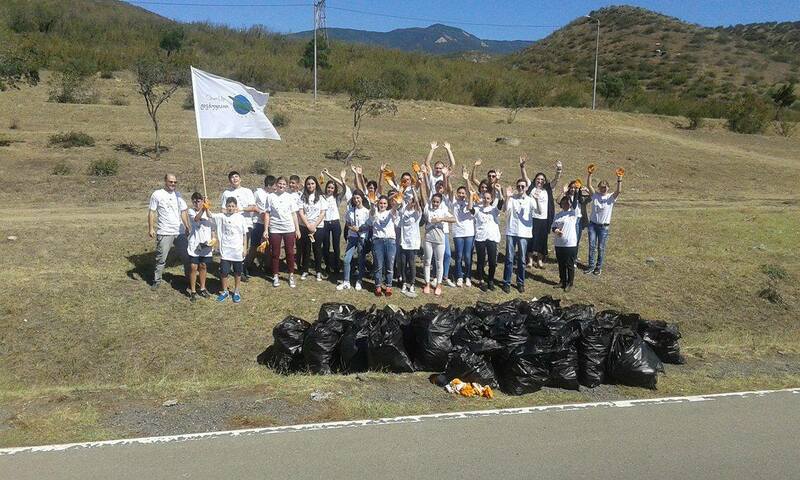 The campaign "Clean Georgia", which took place in Georgia in parallel with "World Clean Up" Ccampain was very active in Mtskheta and among local communities. On 16-17 september, During the campaign at the initiative of the organizers and local residents 7 hectares of area was cleaned up and 5 m3 of waste was collected. About 275 volunteers participated in the action. On 16 september Within the framework of “Clean Up Georgia” campaign a large-scale clean up action has been conducted in Tskaltubo municipality. The event has been organized by local coordinator of Greens Movement of Georgia/ Friends of the Earth Georgia with participation and support of Local Authorities. 2016-09-17 "Clean Up Georgia - Clean Up Senaki"
On 17 September, Within the framework of “Clean Up Georgia” campaign a large-scale clean up action has been organized in Senaki municipality, with participation of the ecological association "Dea", Senaki District Administration, City Council, Center of Culture, representatives of Cleaning & Greening services, public school pupils. During the campaign were cleaned up squares and parks of the town , railway adjacent territory, Castle- Goji surroundings in Nokalakevi, river Tekhura shoreline, spring area of Menji resort, village Akhalsopeli central park area.